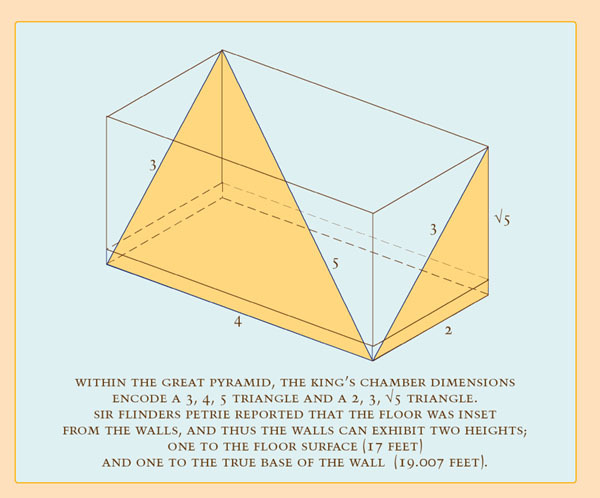 Exact measurements of the Great Pyramid were first made by W.M. Flinders Petrie, and published in 1883 by the Royal society in his book, "The Pyramids and Temples of Gizeh". 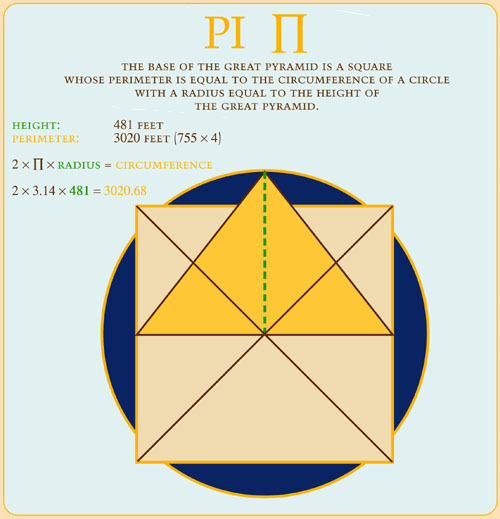 The Great Pyramid was professionally surveyed by J.H. Cole, and the measurements were published in his "Determination of the Exact Size and Orientation of the Great Pyramid", published by Government Press, Cairo, 1925. 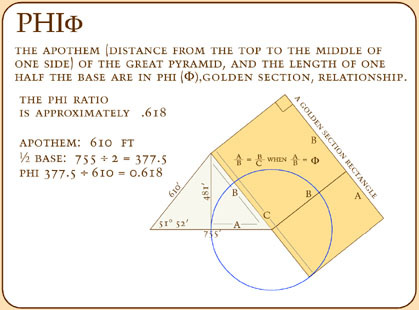 Many of these measurements were subsequently recorded in "The Great Pyramid Decoded", by Peter Lemesurier, 1977. © 2000 R.McKenty . All rights reserved.